Today's is a short post. I've been battling a headache so haven't wanted to do much. 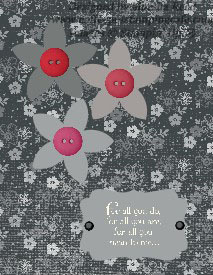 My Digital Studio makes it easy to design a card when you don't feel like being at the craft table. Here is today's MDS effort. Tomorrow is my day off, so I'll see you Monday.